Small, beautiful and absolutely special, too! So cute: a micro garden in a shell! Early summer … time for fresh herbs! Create your stunning show of early summer flowers! First things first, though: make a plan! Which outdoor areas do you want to beautify? Only the balcony? Or a terrace and the windowsills as well? What about the small outdoor tables and walls? Once you settle on these points you can proceed to choosing colours and flowers. 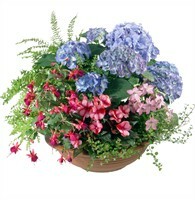 Do you want to give a single variety of early summer flowers pride of place, or would you prefer a variety of flowers? One or multiple colours? Note that you can achieve an especially impressive effect by applying your master plan – plants and colours – throughout, to the balcony, terrace and windowsills. But do keep in mind that, first and foremost, you want your early summer floral display to delight you in particular! Of course, if you feel that it might be better to entrust these matters to a professional, we can help you find expert advice and the corresponding services. 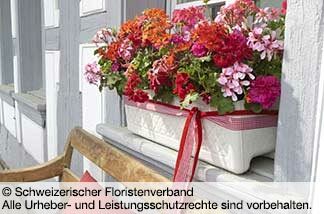 Click HERE to find florists in Switzerland by post code. Or perhaps you are more the let’s-keep-it-simple kind of person, and would prefer to order your early summer display online for home delivery. If so, click HERE for our shop. In the past, the traditional colour scheme for balconies and terraces was green in plain charcoal grey containers. Now, however, colourfully flowering displays are increasingly en vogue. 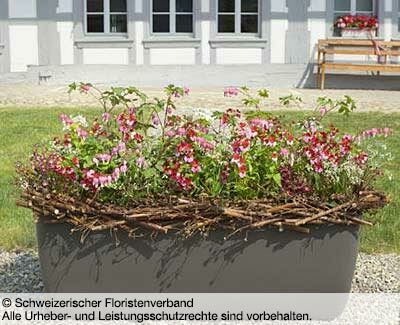 In terracotta tubs, baskets and even wooden crates, in zinc, ceramic and sheet metal containers. The choice is huge! 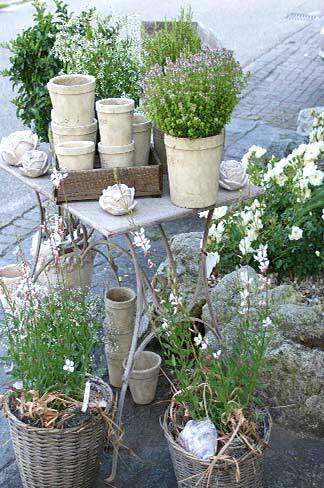 But remember, no matter which containers and plants you choose, what really matters is, you want to create your idyllic little natural world, a place where you can relax, dream, enjoy an opulent display of colours – that true country cottage feeling! It goes almost without saying that limiting your display to greens or monochromes makes planning simpler. 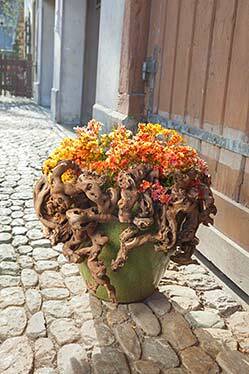 As soon as colours enter the picture, an experienced eye is required: which colours combine well, how visually pleasing will the arrangements be, when and how long do the various flowers bloom, will the overall result fit in nicely with the surroundings? And last but not least, different plants have different requirements as to planting locations, so our advice is to seek out expert advice before you proceed to the cash desk! 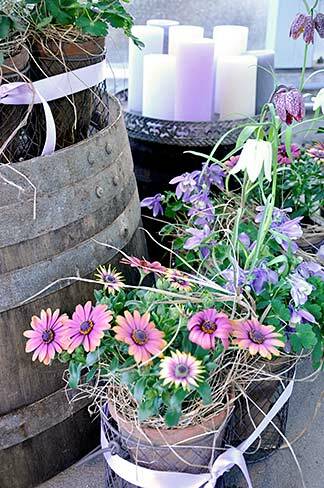 We not only supply a dazzling selection of colourful flowers, but also a range of outdoor plants. Click HERE to order. 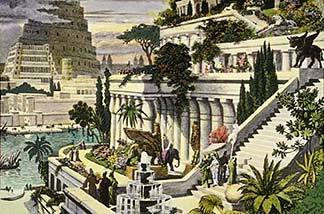 You probably have heard of the Hanging Gardens of Babylon, one of the Seven Wonders of the Ancient World. And if you would like to create your own little world of nature’s wonders, be advised that the good old, but rather uninspired, balcony box displays have matured into brilliant and beautiful balcony gardens with often quite mischievous colour combinations and a choice of plants that leaves nothing to desire. One important planning consideration: the height above ground of the boxes. 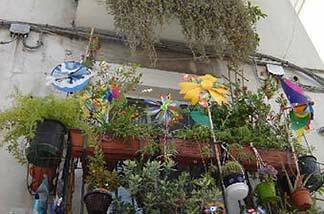 Different visual aspects have to be taken into account, depending on whether your blooming oasis will be situated on the ground floor, at eye level, or on an upper floor balcony. In the latter case, a combination of upright and trailing plants will give the display the desired visual impact from below, too. A colour tip: consider creating a display featuring various shades of a single colour – a stunning sequence of blues, pinks, reds or whites, for example. Nicely contrasting colours are lovely, too! 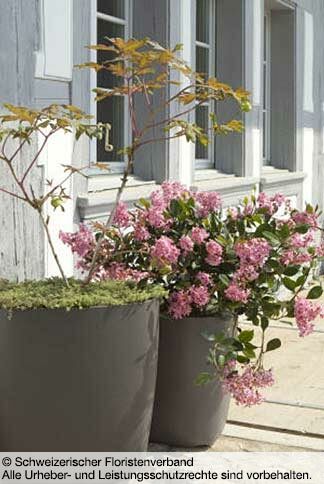 If you grow different plant types in the same container, make sure they all have the same needs. Another aspect worth considering beforehand: would balcony boxes with an integrated water reservoir be best for you? Perhaps you lack the time or experience to plan and implement your dream display yourself. If so, we can help you find expert advice and the corresponding services. 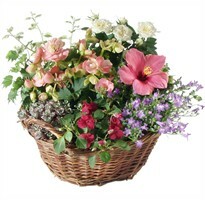 Click HERE to find florists in Switzerland by post code. Regrettably, we are unable to supply you with a wonder of the world. But we can help you create your own little world of natural wonders! Click HERE for our inspiring ideas for balconies and terraces. The warm season has arrived, and with it an abundance of floral splendour. On balconies, windowsills and terraces, in courtyards and along driveways. One of the important tasks when devising a plan for an outdoor area is deciding on the colour scheme – an undertaking that gives free rein to your imagination and sets no limits on your creativity. This picture shows a lovely floral display featuring a whimsical ‘enclosure’, akin to a beautiful framed painting. The delicate flowers offset the somewhat inelegant outline of the container and create an intriguing contrast to the heavy lines of the tub, with the twig border serving as a connecting element. 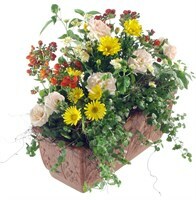 As to what to plant in the container, do not restrict yourself to summer flowers! 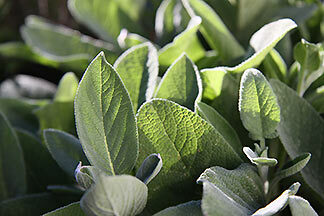 Herbs can be a very attractive option, for instance lavender, rosemary and sage. The latter in particular is available in a spectacular range of colours (and tastes). Click HERE for more tips on balcony boxes. Care for a shopping trip for your balcony and terrace needs? We have some surprises in store for you – click HERE! 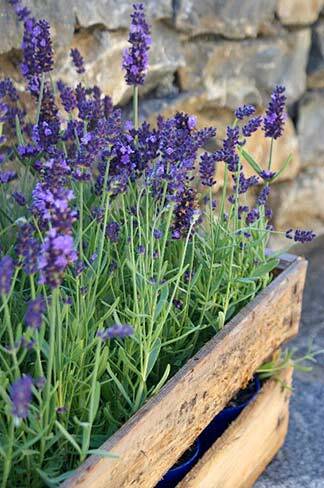 Whether you fancy a country idyll, a kitchen garden or a dash of cottage chic – container gardens are all the rage. The advantages: your planting plan doesn’t have to cover the distant future, and replacing parts or all of the floral display is quick and easy, which means you can keep your mini garden(s) fresh and attractive throughout the season. 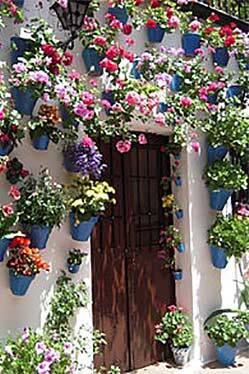 Moreover, container gardens let you add colourful highlights in locations without ground planting options, for example on patios, in courtyards and driveways. 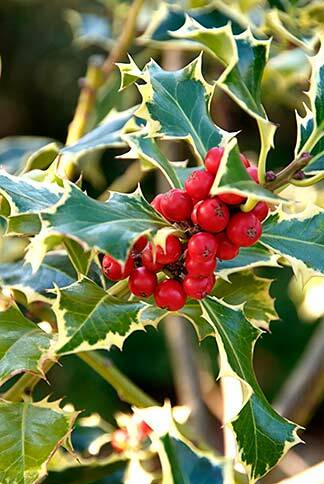 For this purpose we recommend frost-resistant or annual container plants, and not the Mediterranean species that have to be taken inside in late autumn and overwintered. The range of plants for container gardens is broad and varied: bilberry and red currant (eye-catching! 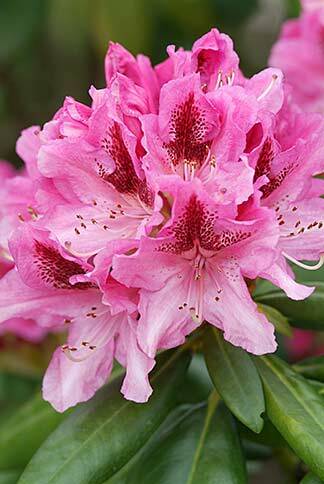 ), for example, the Japanese maple and the dogwoods with their spectacular autumn colour displays, the delightfully scented shrub peony, osmanthus and viburnum, the ornate burning bush, and of course hydrangeas and rhododendrons, to name but a few. Evergreens (holly, juniper, pine etc.) 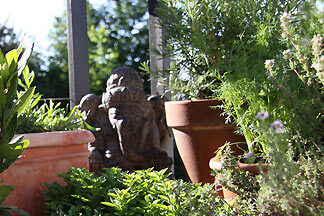 are further first-rate candidates for a container garden, as are many grass species. 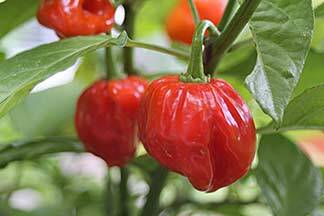 You may also want to consider allocating some container space to the growing range of snack vegetables (colourful peppers, container tomatoes, Swiss chard, artichokes etc.). 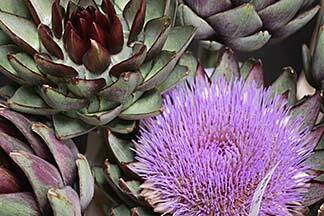 Not only are these plants very pleasing to the eye, they are also much-appreciated culinary ingredients and wholesome snack foods. 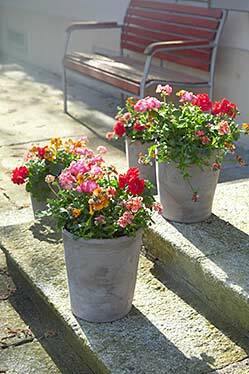 Note that it is a good idea to group smaller containers together for best effect; larger ones work well as stand-alone container gardens, too. 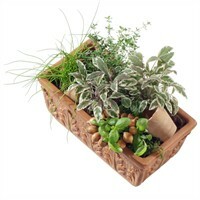 Perhaps you know someone who would appreciate a little something for their mini garden? If so, click HERE to go to our shop. 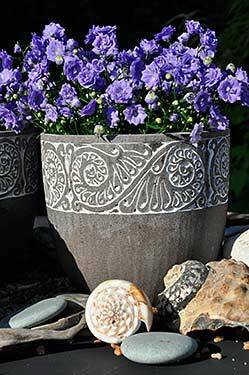 Seashells – for example conch shells – are popular holiday souvenirs, and bigger examples can be put to excellent use as micro ‘plant pots’. To create a micro garden, fill a layer of expanded clay (clay hydroculture pebbles) into the shell and add a small layer of soil. Then place the plant on the soil (bellflower or echeveria, for example). A tip: make sure that the ‘face’ of the flower suits that of the shell. If this piece of advice sounds slightly odd, bear in mind that, like people, shells have a ‘best side’ too! Therefore, look at the flower and the shell from all sides and position it so that the micro garden presents its most attractive ‘face’! Finally, fill the all-natural micro ‘container’ with soil and gently tamp it down. Create a miniature soil dike to facilitate watering and dribble a bit of water onto the soil. 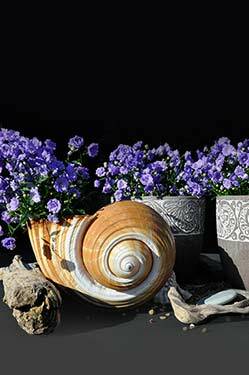 A shell garden can be further enhanced by complementing the arrangement with a harmonising cachepot containing the same kind of plants as the shells. 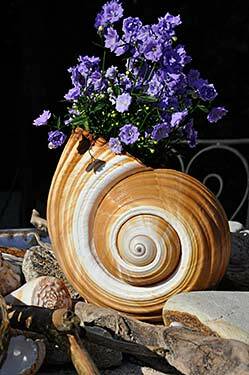 By the way, seashells (including conch shells) can be purchased in flower shops! 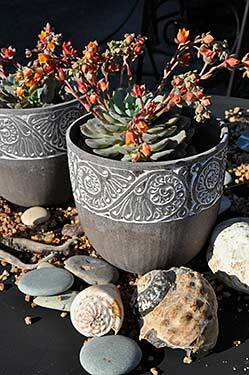 Click here for more mood-setting ideas, flowers and plants for balmy evenings on the patio and outdoor parties. 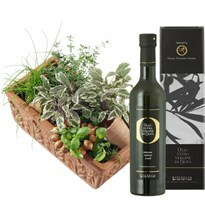 Early summer is here, and with it a pronounced desire for the incomparable taste and fragrance of fresh herbs. 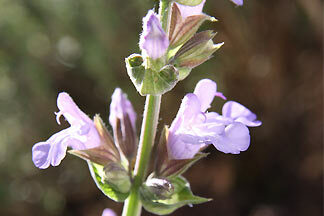 Lavender, for example, and marjoram, lemon balm, parsley, peppermint, rosemary, sage, chives and thyme. These herbs are more than ‘just’ fragrant and delicious seasonings, they are also wonderfully decorative, in kitchens, on windowsills and beautifully laid tables, and on balconies and terraces, too. You might be astonished by the sheer number of different herbs that are now available, and by the variety of species of the same herb, each with its distinctive taste and appearance, that can be cultivated. 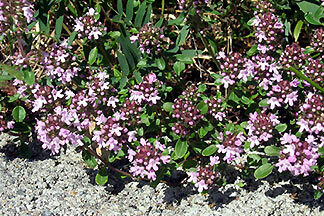 Oregano, for example, is not always plain green, it can be cultivated with yellow leaves and lilac, dark pink, purple pink and white flowers. There are several thyme cultivars, including garden thyme, orange thyme, yellow-green lemon thyme, white-green thyme and Portuguese thyme. Our tip: buy more than you need for yourself. Miniature herb gardens are not only great to have in one’s own kitchen, they are also lovely gifts for best friends, helpful colleagues and enthusiastic hobby cooks. 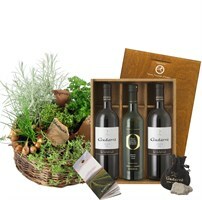 Why not surprise a friend who loves to cook with a selection of herbs? We will be delighted to deliver them for you!